(NC)—Every year, thousands of immigrants make Canada their new home. However living in a different country can be a major adjustment, especially if you are unfamiliar with having to file income tax forms. People entering Canada can be classified as non-residents, deemed residents or part-year residents, depending on how long they stay and if they establish residential ties. People who immigrate to Canada on a permanent basis are usually considered part-year residents for tax purposes. Part-year residents are taxed on their world income from the date of entry, so all income earned in a tax year must be reported. Part-year residents may be entitled to the GST credit after their arrival. Parents should also complete a Child Tax Benefit Form RC66 from the CRA as soon as they arrive. (NC)The days are starting to get longer, and you can feel that spring is right around the corner. 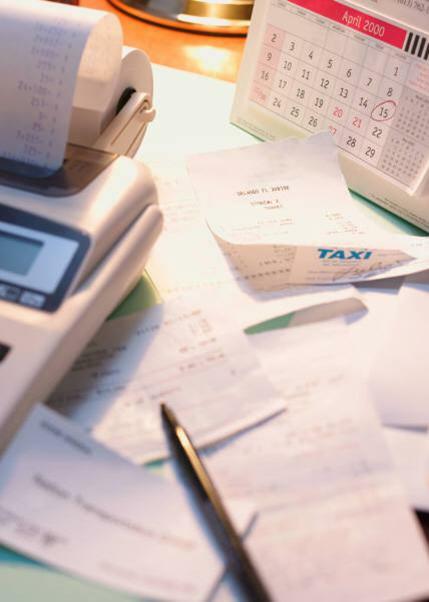 With spring, of course, comes tax-filing season, so as “filing taxes” joins “spring cleaning” on your to-do list, here are 10 ways to save you money—and even land you that refund you've been hoping for. Tax-free savings account: Using a TFSA is a smart way to save on tax. Generally, the interest, dividends, and capital gains earned on investments in a TFSA are not taxed—not when they are held in the account or when they are withdrawn. Registered retirement savings plan: Pay less tax and save for your retirement at the same time. Any income that you earn in your RRSP is usually free from tax as long as the funds stay in the plan. Charitable donations: Donations of cash, goods, land, or listed securities made to a registered charity or other qualified donee may be eligible for a tax credit. Parents: All those mornings spent at the hockey rink and afternoons spent at the ballet studio can mean savings—with the children's fitness and arts tax credits. Child care is also deductible, so gather up your receipts. Family caregivers: If you have a dependant with a physical or mental impairment, you could be eligible for an additional $2,000 this year with the new family caregiver amount. Student: Were you a student in 2012? You may be able to claim tuition, textbook, and education amounts, as well as moving expenses if applicable. And if you've recently graduated, you can claim the interest you paid on your student loan. Public transit amount: If you are a public transit rider, you may be able to save by claiming the cost of your transit passes. You can get up to 15% of the amount claimed. Seniors: If you receive income from a pension, you can split up to 50% of eligible pension income with your spouse or common-law partner to reduce the taxes that you pay. You may also be eligible to claim the age amount, medical expenses, and the disability amount. Home buyers: You may be able to claim up to $5,000 if you bought your first home in 2012. Hiring an apprentice: Did your business employ an apprentice? An employer who paid a salary to an employee registered in a prescribed trade in the first two years of his or her apprenticeship contract qualifies for a non-refundable tax credit. (NC)—Airborne allergens and pollutants can cause much grief to homeowners who suffer from various breathing problems such as asthma and seasonal allergies. 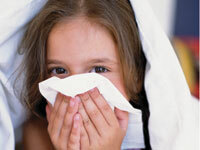 With spring on the horizon, the potential for increased irritation is heightened. Sufferers seek long-term, consistent relief anyway they can. In the home, pollutants and airborne allergens can penetrate even the smallest of gaps and combined with airborne moisture, the potential for breathing problems is high. Canadians typically spend around 90% of their time indoors, so improving indoor air quality is an investment in lifestyle comfort and well-being. One smart solution for homeowners is spray foam insulation since it helps minimize the potential of respiratory distress. The air-sealing qualities of spray foam insulation (like that available from Icynene), helps reduce the infiltration of pollutants, airborne allergens, and airborne moisture. The materials work to insulate and air seal a home by expanding up to 100 times its size within seconds to fill any gaps and cracks within the building envelope. It is these qualities that work to mitigate the potential of airborne irritants from entering the home. In addition to helping alleviate respiratory distress, spray foam insulation works to provide constant indoor comfort and protection as well as the opportunity to noticeably reduce energy bills. More information can be found online at www.icynene.com. It would seem that regulators want to dissuade Canadians from buying homes with nothing down. Yet despite all of the recent changes, buyers can still get into the real estate market with little cash on hand. Ottawa did away with Canada Mortgage and Housing Corp .-insured 100 per cent financing back in 2008. Home buyers with few savings searching for an alternative were left with cash-back down payment mortgages. (That’s where a lender gives you your 5 per cent required down payment, in exchange for a higher rate.) But those didn’t last long because in 2012, regulators barred banks from offering cash back for down payments. Purchasing a home without your own down payment is often risky. 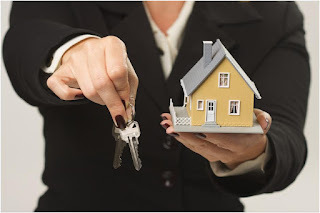 One exception is when a borrower is well-qualified (apart from the down payment), has enough potential resources to withstand a loss of income and falling home prices, and is better off owning than renting. But exceptions are just that, and not the rule. Borrowing from other credit sources – When buying a home, you generally need at least 5 per cent of the purchase price as a down payment. Read more . . .
Getting a cash-back down payment mortgage – In many provinces, lenders that aren’t federally regulated (like credit unions) can still offer cash-back down payment mortgages. Read more . . . Using a gifted down payment – If you’re a young home buyer with a generous relative, you may be lucky enough to get your down payment as a gift. Read more . . .
RRSP Home Buyers Plan (HBP) - First-time buyers can borrow up to $25,000 from their RRSP as a down payment. But this is a very different kind of loan, for three reasons: Read more . . .
Special lender and government programs - Various provinces and municipalities provide down payment assistance grants. These programs are typically for people with low or moderate income. Read more . 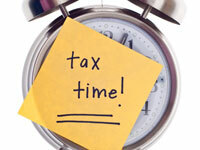 . .
(NC)—It's that time of year again—tax season. You may be thinking that because you have no income to declare, you can avoid the hassle of filing your income tax and benefit return. But did you know that to get credits and benefits, like those on the GST/HST you paid, or for the Canada Child Tax Benefit, you are required to file? • GST/HST credit: A tax-free quarterly payment that helps individuals and families with low and modest incomes offset all or part of the GST/HST they pay. • Canada Child Tax Benefit: The CCTB is a tax-free monthly payment made to eligible families to help them with the cost of raising children under age 18 (it may include the national child benefit supplement and the child disability benefit). To avoid interruptions to your benefit and credit payments, make sure you file by the deadline, which is April 30, 2013, or June 17, 2013 if you or your spouse or common-law partner is self-employed. 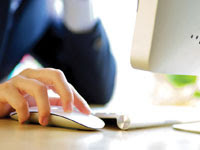 Make filing your taxes easier by filing online, using the certified software listed on the Canada Revenue Agency website at www.netfile.gc.ca/software. Free software options are available. If you need help filing, you may qualify for the Community Volunteer Income Tax Program, which offers tax preparation clinics hosted by volunteers in various community organizations. Find the nearest clinic at www.cra.gc.ca/volunteer.